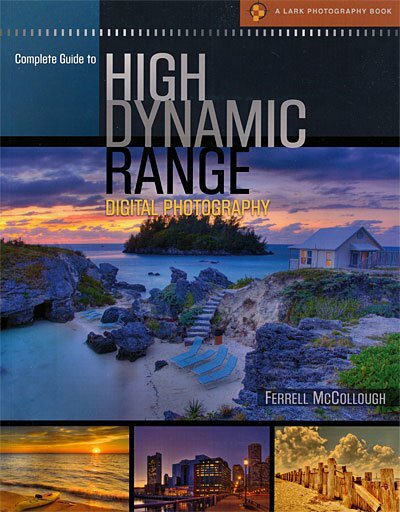 Before I started experimenting with HDR programs, I read a great book on the subject — Complete Guide to High Dynamic Range Digital Photography by Ferrell McCollough. Not only does this book devote an entire chapter to the HDR programs like Photomatix, FDR Tools and Dynamic Photo HDR, it has comparison photos processed with all programs. By the way, this book also favored FDR Tools over the other programs just like I did in my previous article. The book covers in-depth taking pictures with bracketing exposures. Almost all digital cameras can do this. It makes creating the multiple shots needed for HDR very easy. This book is filled with HDR photos by a variety of photographers. It’s a wonderful guide to where you can go with HDR.